I like working with people, but I like being in my own space. 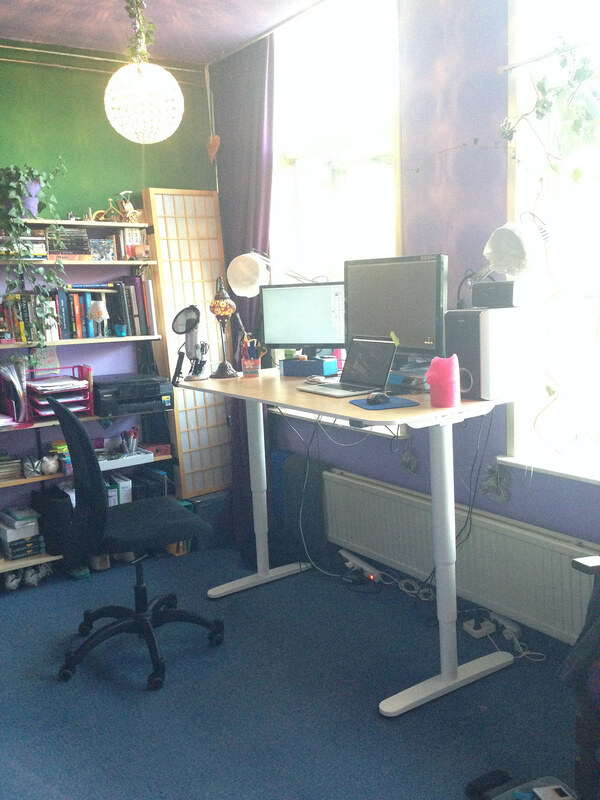 I like my comfortable chair, my electric sit-stand desk, my multiple monitors, my music, my neighbor cat who comes over to visit… I could go on and on. At a coworking space, I’m distracted by the noise, the people, the temperature (usually), the uncomfortable chairs, the lack of privacy when I need to make a video call, the lack of external monitors. Again… I could go on and on. The point is, coworking is not for me. But virtual coworking? That’s another story! With virtual coworking, I can have my comfortable digs AND work with other people at the same time. 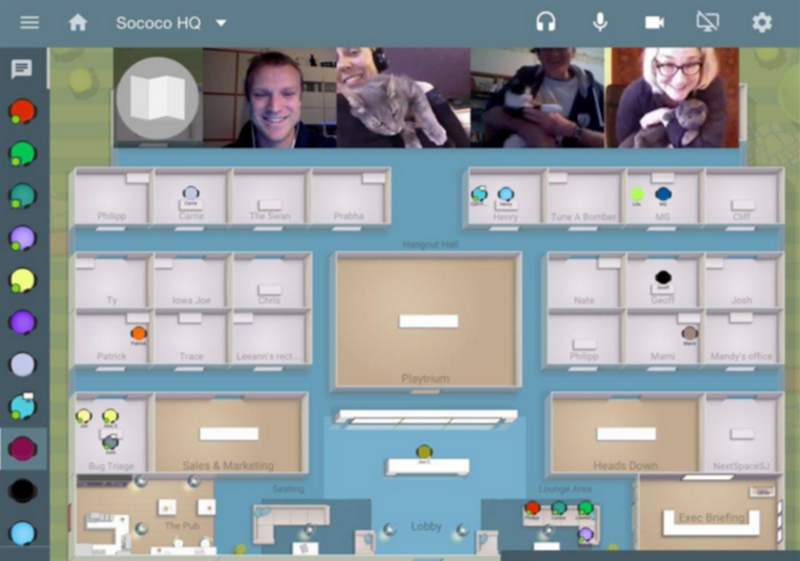 The Virtual Team Talk community is using Sococo, a virtual office to work together. People from all over the world gather, work, and hang out all from the comforts of wherever they are. And you are welcome to join us! Each of the squares represents a room. You can see where everyone is in the floor plan (and you can move from room to room) but you can only hear and speak to those who are in the same room with you. So pick the “Focused” room and hunker down and get some work done – or come over to the “In the mood to chat” room to find others who want to say hello or have a virtual coffee. It’s all very relaxed… just remote workers connecting, working, and having fun together. No marketing. No selling. No expectations. We’re just playing and seeing where it goes. JOIN US! It’s free – and it’s fun. Would love to virtually interact with Mark, yourself and others doing like type roles. Whilst I hardly ever work remote I am always a one man war party trying to steer the oil tanker in a kayak. Being able to talk with others is invaluable. Hi Steve, I’m so sorry for the delayed response. For some reason, I didn’t see your comment until today. I will send you an email and invite you to the next coworking session!